According to new findings released by the CDC’s National Institute for Occupational Safety and Health Black Lung cases are on the rise.West Virginia University health experts feel that causes of black lung are complex but higher amounts of silica dust in the air, difficult airflow and longer exposure to dust increases the risk of developing black lung.These conditions may be contributing to the high prevalence of black lung which is being encountered by the miners in western Virginia, southern West Virginia and eastern Kentucky. “In addition to my clinic in Morgantown, I also see black lung patients at the Cabin Creek Clinic in Dawes. I have been seeing a steady stream of coal miners from the southern part of West Virginia with both simple black lung and the more advanced form of black lung called progressive massive fibrosis. 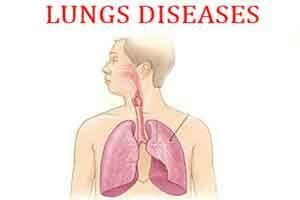 Black lung can be a very disabling disease. In milder cases, miners may notice a little shortness of breath, and more aggressive cases can result in inadequate breathing to perform even simple tasks, making the miners homebound, or even bed bound.